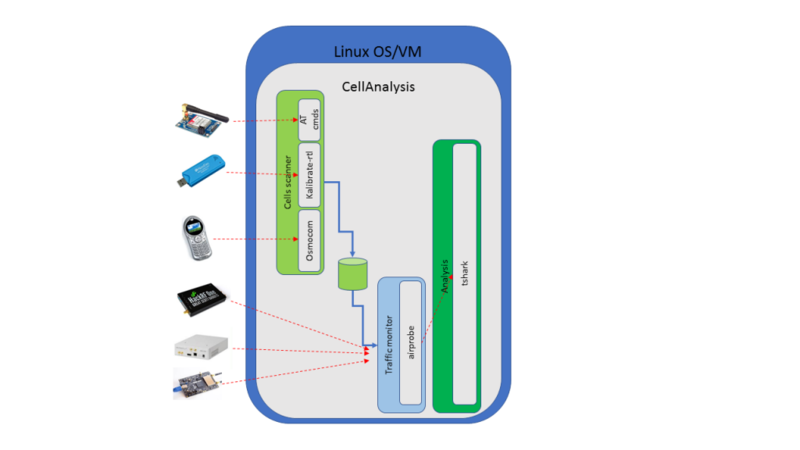 CellAnalysis is the main script that will run in a Linux machine, using multiple compatible devices. 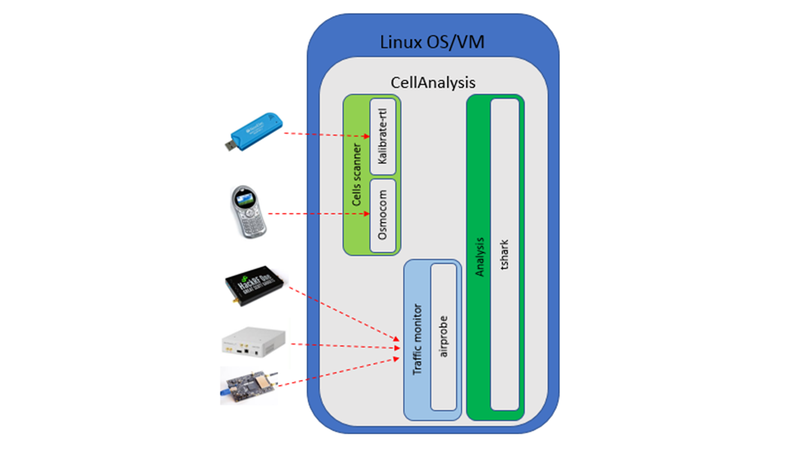 Here you will find different configuration scenarios; SDR boards, OsmocomBB phones and GSM modems. 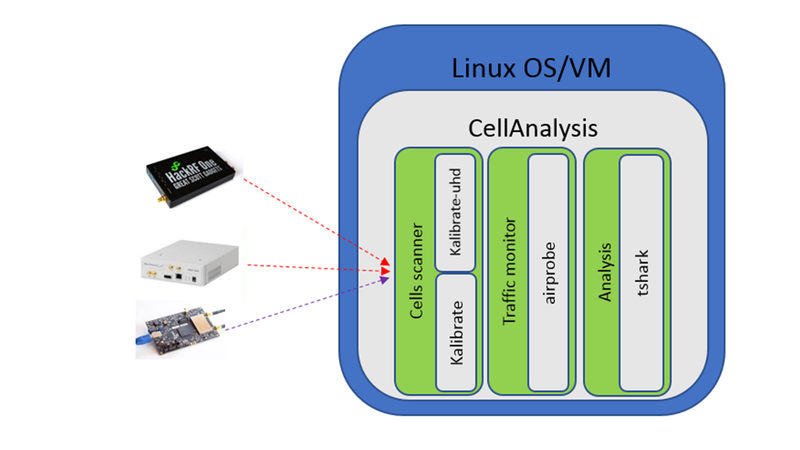 The minimum hardware you need is at least one 20/30$ device: RTL-SDR or OsmocomBB phone, to be used in your Linux server (laptop, PC, RPi2/3, Odroid, etc.). · RTL-SDR: scan cells will take about 7-10 minutes only for GSM900 band. Dependening on the manufacter and model the tunner, stability, noise, ppm characteristics will be different. 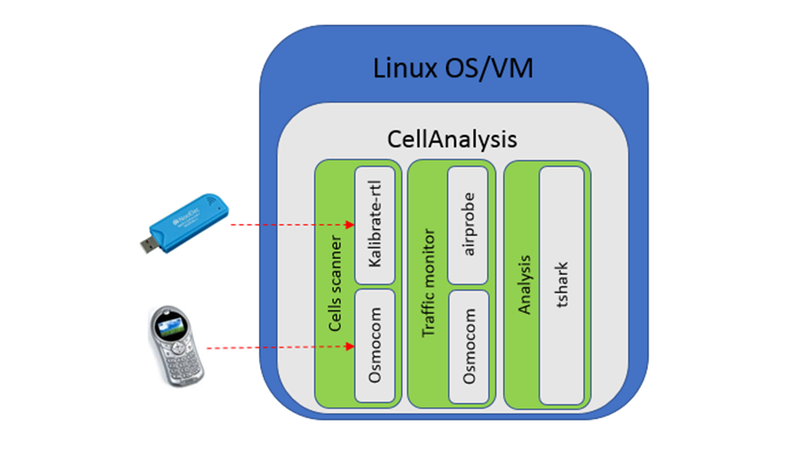 · OsmocomBB phone: scan cells is a configuration parameter; less time will result more quicker monitoring but a only a few cells will be detected. Default value for the timer is 90 seconds, based on previous experince. We can use a SDR board like HackRF, BladeRF or USRP also as a single device. These boards, usually, have better characteristics than RTL dongles. “kalibrate” has been adapted to HackRF, BladeRF and USRP UHD. Also “airprobe” has been adapted to be used with GNU Radio 3.7 and to HackRF/BladeRF. The power of two devices can be used togheter, so one device will only scan for cells while the second ones is monitoring traffic.